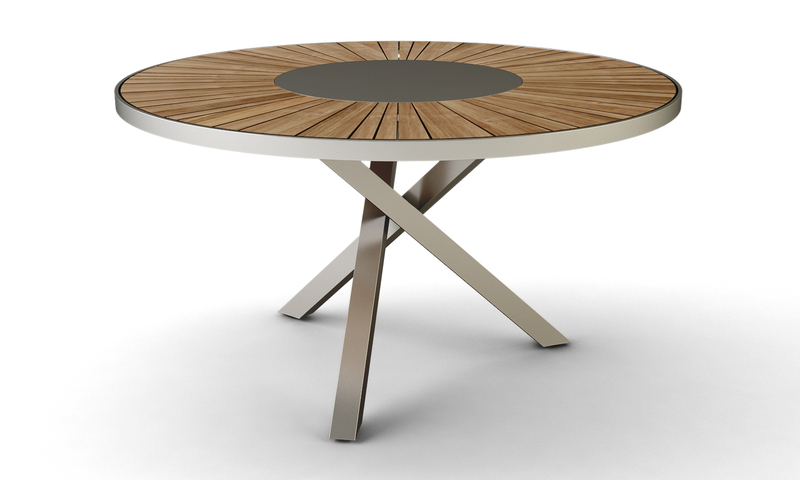 Stainless Steel tripod base and premium teak components make this a deliciously designed round table. Lazy Susan center in stainless steel adds design and functionality. 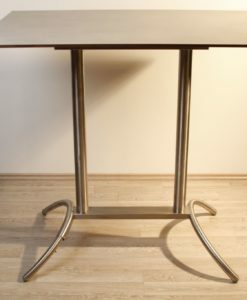 Table legs are a knock-down construction, so it can be flat packed. 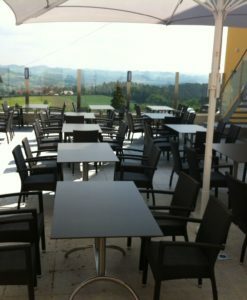 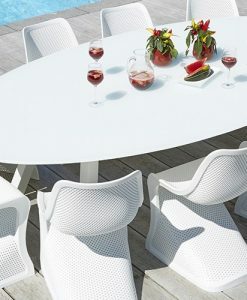 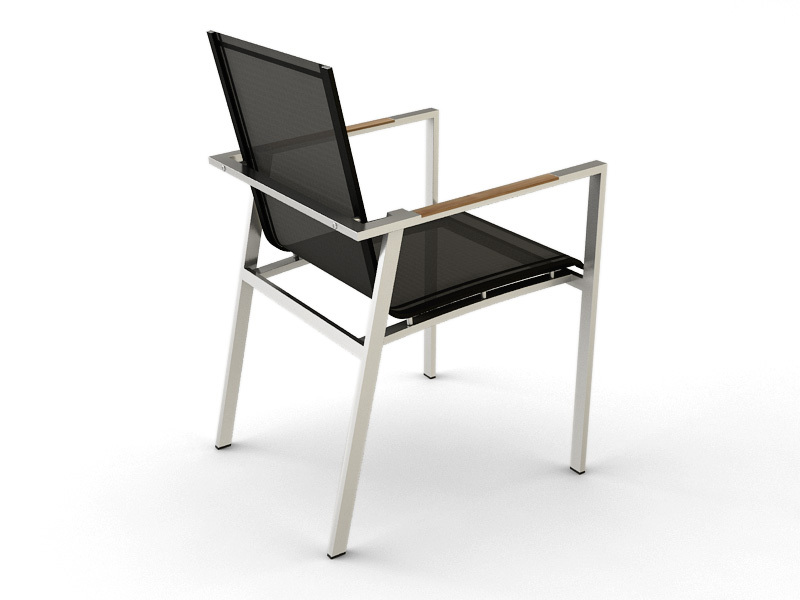 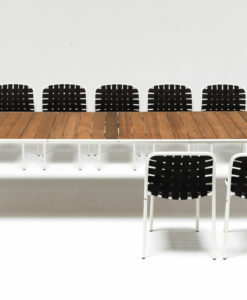 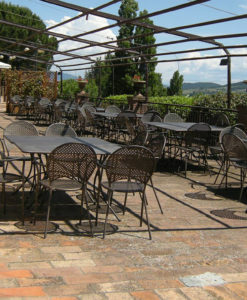 Stackable stainless steel chairs in Batyline Ferrari mesh colors with teak arm inlay. 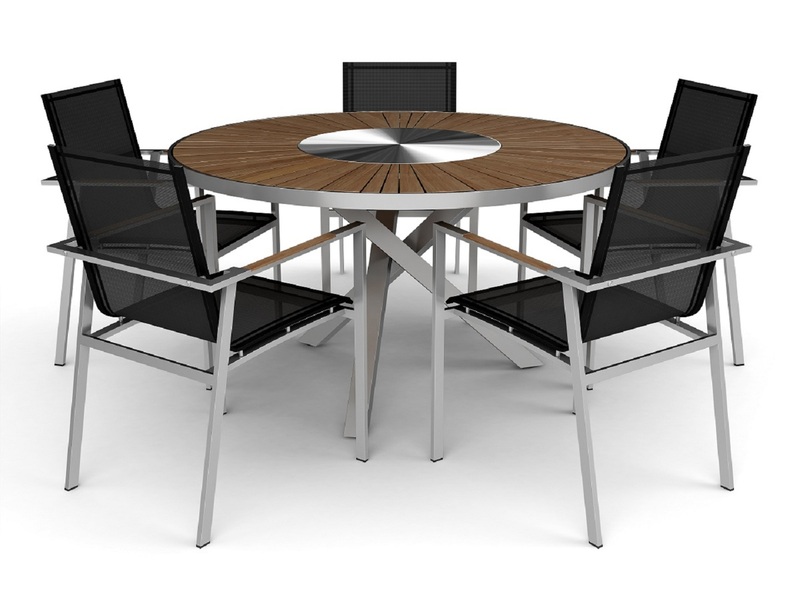 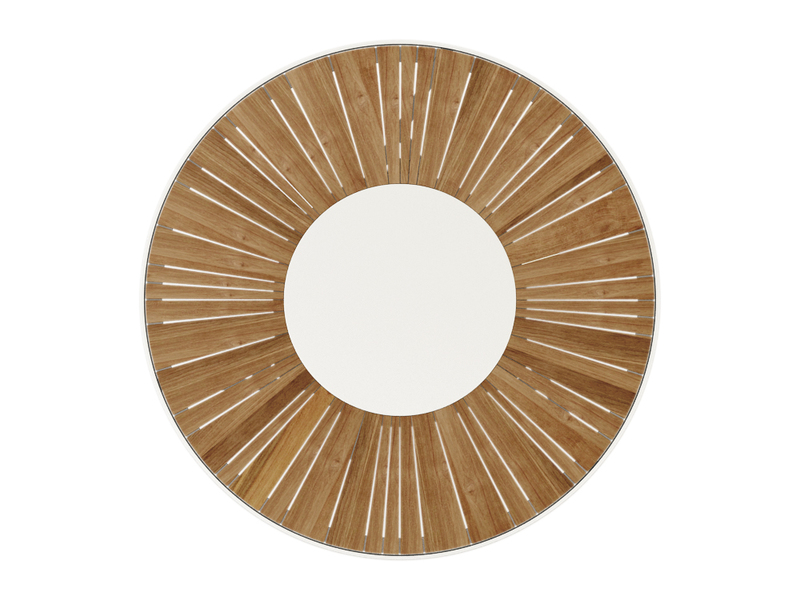 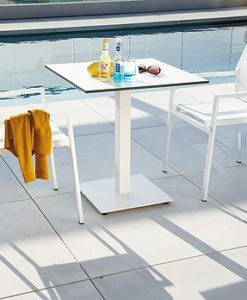 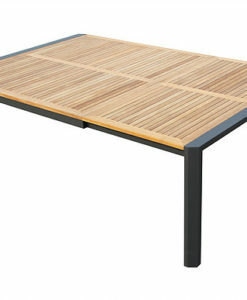 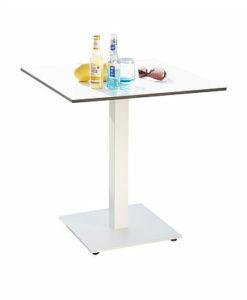 Modern Round Stainless Steel Teak Dining Table boasts a tripod base and premium teak components. 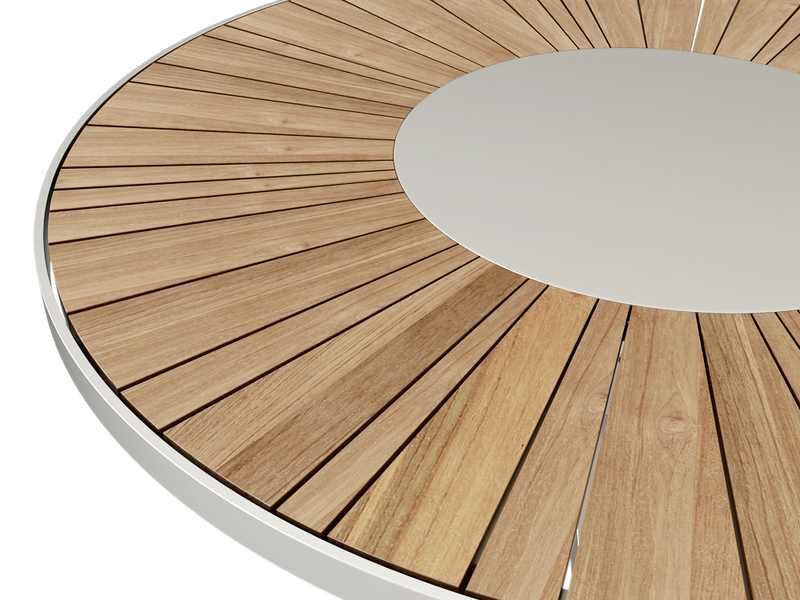 Making this a deliciously designed round table. 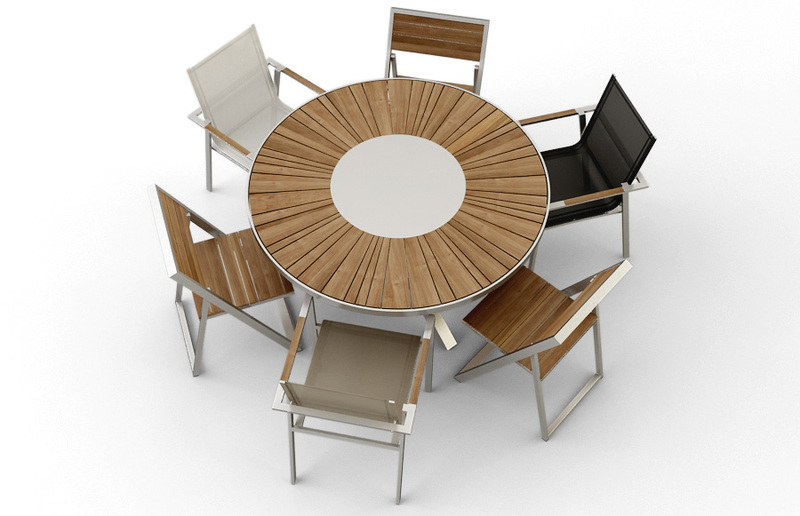 Lazy Susan center in stainless steel adds design and functionality. 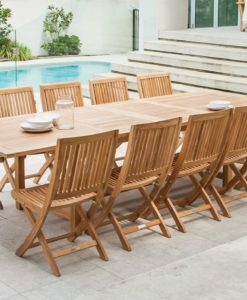 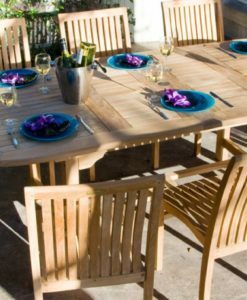 Teak Dining Table legs are a knock-down construction, so it can be flat packed. 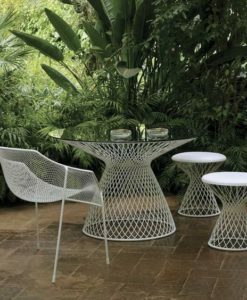 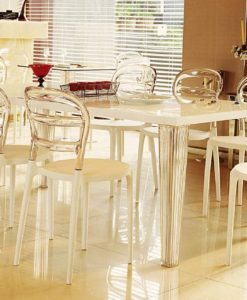 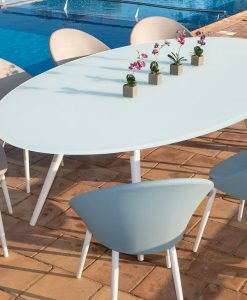 Create the perfct by purchasing your table along with stackable stainless steel chairs in Batyline Ferrari mesh colors with teak arm inlay. 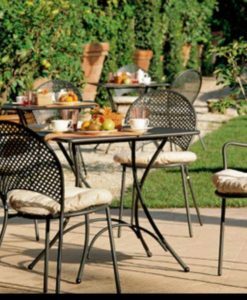 Stainless steels are notable for their corrosion resistance, which increases with increasing chromium content. 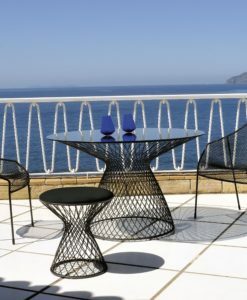 Additions of molybdenum increase corrosion resistance in reducing acids and against pitting attack in chloride solutions. 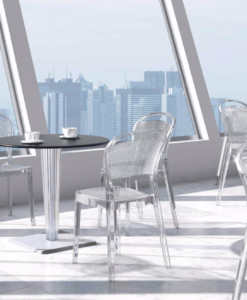 Thus, there are numerous grades of stainless steel with varying chromium and molybdenum contents to suit the environment that the alloy must endure. 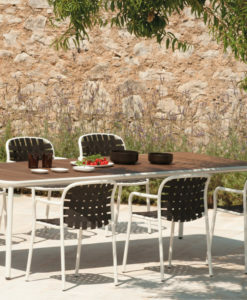 Stainless steels resistance to corrosion and staining, low maintenance and familiar lustre make it an ideal material for many applications where both the strength of steel and corrosion resistance are required.